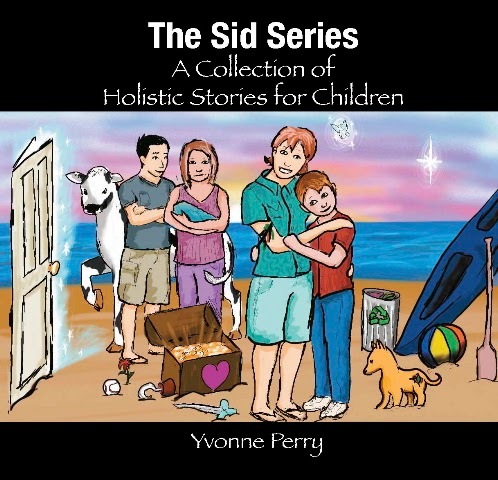 Today we have a story written by author Mary E. Martin that shows how we entertain angels and our “deceased” loved ones unaware. Be sure to visit Mary at http://www.thedrawinglesson.com/ or http://www.theosgoodetrilogy.com/. John McGrath looked up from the busy street and read the sign: Cavendish Hotel. Pulling open the front door, he stepped in to find a small foyer of potted plants, mirrors and vinyl covered furniture. Wearily, he set his bag down at the reception desk and rang the bell. He had to find a place to sleep. The desk clerk lumbered from the back room and looked at him crossly, as if he had been disturbed from a late afternoon nap. After signing the register, John took the key to his room and found the tiny elevator around a pillar and down a dark hallway. To his great surprise, the elevator was beautifully crafted with dark mahogany wood and gleaming brass. The doors clanged shut and he pressed the button for the fifth floor. The cage rose swiftly through the dark shaft and stopped. The doors opened and John stepped out. "Good evening, sir." A small man appeared in the shadowy hallway dressed in an old fashioned bell cap's uniform of the deepest blue, with buttons and braid of the shiniest gold. John nodded and sought to pass him. "Let me take that, sir?" The bell boy took John's case and hurried down the red carpeted hallway." Looking over his shoulder, the bellman grinned. "Room 502, a very nice one, to be sure, sir." Again John simply nodded. All he could think of was to sink onto the bed and with any luck, straight to sleep. Once in the room, he looked about. Not a room he expected to find in a run-down hotel. The bed was wide and comfortable looking, with a huge headboard. Little framed prints covered the walls and to one side was a very large armchair, sofa and table. He tipped the bellman, who touched his cap, clicked his heels and disappeared. John switched on the light in the bathroom and immediately saw his gray, haggard face in the mirror above the sink. Taking a towel, he ran the water as hot as he could, then washed his face. No wonder he looked so sick. He could never sleep properly. A whole year had passed since his wife and son had been killed in a car accident. He dreaded tonight, the anniversary of their deaths as if he were a convict on death row awaiting execution. He patted his face dry and turned to go back into the bedroom. He opened the door. His mouth gaped open. Before him was set a beautiful table laden with white linen, gleaming silver and crystal glasses. The bellman entered the room with steaming silver dishes filled with the most delicious smelling food. John shook his head in disbelief. The bellman smiled and after setting the dishes out on the table, pulled the chair out for John. John could not believe his eyes, but slowly he sank into the chair. The small man lifted one cover after another from the serving dishes and began to spoon out potatoes, corn and peas and then he carved two slices of succulent roast beef and set them on the plate before John. To his surprise, the food was real. He was not dreaming. Scooping up some vegetables, he tasted them carefully. It was hot and delicious. After months of no appetite, John was suddenly ravenously hungry. He grasped his knife and cut the meat. For the next ten minutes, he ate without pause, feeling warmth and energy flood through his body. The bellman nodded approvingly and poured John a glass of wine. Only when he had finished all the food on his plate, did he pause to take a sip. He felt life coursing through his veins. John glanced about the room and was surprised to see a maid near the window. Smiling, she approached the table and set out the dessert. "You have eaten with such a good appetite, sir," she said. "But why do you look so sad?" John tossed down his napkin and pushed back his chair. He looked at his watch. "Because, at this time exactly, one year ago, my wife and son, whom I loved with all my heart, were killed in a car accident." John stifled a sob. "And since then, I have been unable to sleep or eat. I miss them so much. The bellman and the maid exchanged worried glances. "But John," the maid said softly, "do you think that just because it is daylight, the stars are no longer in the heavens?" "Of course, not. That would be foolish." "Just because you are surrounded by fog, do you think the world has disappeared?" John sighed heavily. "Really! Don't bother me with silly questions. They are gone forever and I am alone." The maid shook her head sadly. The bellman spoke. "We will leave you now, sir as you seem very tired. But please remember, your wife and son are always with you." Glad to be left alone, John nodded then sank wearily on the bed. The bellman and the maid closed the door softly behind them. For a whole year, he had been afraid to lie down in bed, expecting to be tortured by longing for his family. But tonight, he settled comfortably on top of the covers. Within a moment, he was breathing deeply and fast asleep. He slept a deep and dreamless sleep without moving once in the night. In the morning, he awoke for the first time in a year, completely rested. He sat up expecting to see the dinner table and the dishes from last night. The room was entirely clean. Not a trace of the meal remained. How strange, he thought. He had not heard the man and woman come back for the dishes. Puzzled, he packed his few things in his bag and stepped into the hallway. He half expected to see the maid or bellman, but then realized that they would not be on the morning shift. Downstairs at the front desk, John examined the bill. Being an honest man, he said to the clerk, "But there is no charge for the delicious dinner the bellman and the maid served me last night." The clerk looked at John in astonishment. "What are you talking about, sir. We haven't had room service in this hotel for at least fifty years. Most of the rooms are closed off. In fact, except for the night clerk, I'm the only one working here." "But the man and the woman...they served me a roast beef dinner." The clerk began to chuckle. "And did they send up the dancing girls, too?" "What?" John backed away from the desk. "All right. Here's the money for the room." Quickly John picked up his bag and headed for the door. Outside, he stopped on the steps. On the sidewalk, stood the bellman, resplendent in his uniform. Seeing John, the man tipped his cap and said, "Good morning, John. I trust you slept well. Your family has not forgotten you." Smiling, John said goodbye and hurried down the street with life in his stride. There are times when a spirit has a personal message for me or another person. If I can deliver the message without causing discomfort to myself, I will try to do so. For example, I was keeping my grandsons at their home while their parents were away for a week celebrating their tenth wedding anniversary.The day before Amanda and my son returned home, Amanda’s mother, Kendra (“Nanna K” as her grandchildren called her), dropped by in spirit. I knew and loved Kendra and didn’t even have to ask who the spirit was. There was a lightness, warmth, and sense of love surrounding me as I heard her say, “I’m just dropping by to check on my babies. It’s good to see you here. Thank you for all you do for Amanda and the boys.” I was glad she dropped by. I was curious to know whether or not my seventeen-month-old grandson could see her so I asked Kendra to sit in the chair next to him. I said, “Jonas, your grandmother is here. Can you say hello?” He looked directly at the chair then back to me as if to say, "which one?" Both of his grandmothers were there! I know earthbound spirits are able to interact with us on the earth plane, but I wasn't sure if those like Kendra who have crossed over and into the light were able to. Kendra's visit confirmed what I read in Mary Ann Winkowski's book, When Ghosts Speak. Those who cross over are able to visit many dimensions and vibrational planes, while those spirits who have not crossed over are stuck in the earth plane until they choose to cross over. I also find it interesting that we have free will and choice in the afterlife. I've been reading a lot of books lately: When Ghosts Speak: Understanding the World of Earthbound Spirits by Mary Ann Winkowski, The Spirits' Book, Inspiration and Resolution for the Questioning Soul by Allan Kardec, and Strangers Among Us by Ruth Montgomery. Mary Ann Winkowski is a paranormal investigator who sees earthbound ghosts with her physical eyes like the character, Melinda Gordon, played by Jennifer Love Hewitt on Ghost Whisperer. In fact, Winkowski provides consultation for the writers of the CBS show produced by John Gray. Mary Ann is an authority on earthbound spirits, while Kardec's writing is a compilation of messages channelled to mediums, and Montgomery received her information from her guides via automatic writing. These credible works confirm what I believe about the afterlife. Ghosts that do not cross over into the Light upon "death" are not much different than human beings--they just don't have a body. Their personalities, likes, dislikes, motives, etc. are much the same as they were while in a body. Some kind beings stayed behind to help loved ones; others stayed behind to wrack havoc in the lives of humans. However, what I was confused about prior to my research was the hierarchy of spirits. Why are some more elevated or powerful than others? 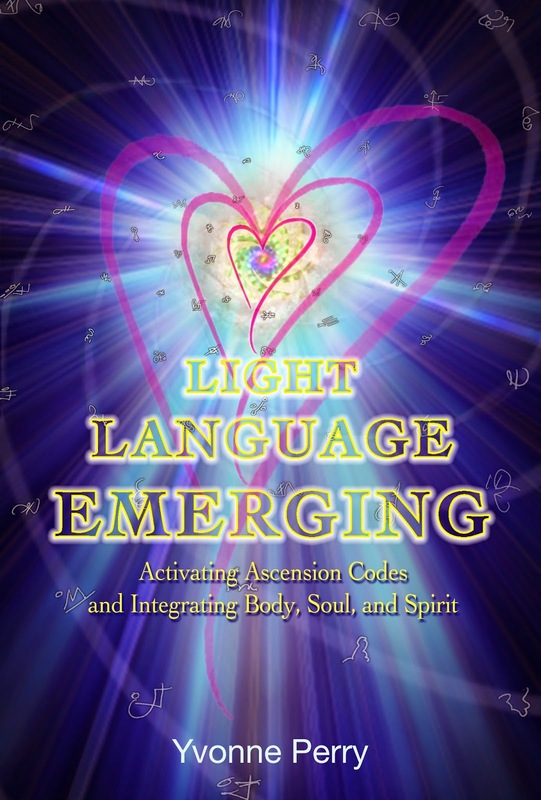 From these channeled writings, I learned that there are levels through which a soul ascends as it achieves purification. The closer to the Creator a soul becomes, the more power and authority that soul has. Those in the higher realms can assist those not as purified, but those of a carnal nature that only intend harm are not allowed to access the realms enjoyed by the higher spirits. There is work to be done in the afterlife, but since a soul is not hindered with the confines and ailments of a physical body, this works is accomplished without struggle or suffering. 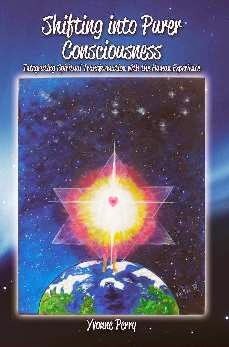 The work has to do with assisting the will and plan of the Creator to help others evolve. Since there is free will at every level, a soul can choose whether or not to cross over upon departure from the human body. Winkowski's grandmother started taking her to funeral homes when she was four years old to communicate messages between the "deceased" and their loved ones. 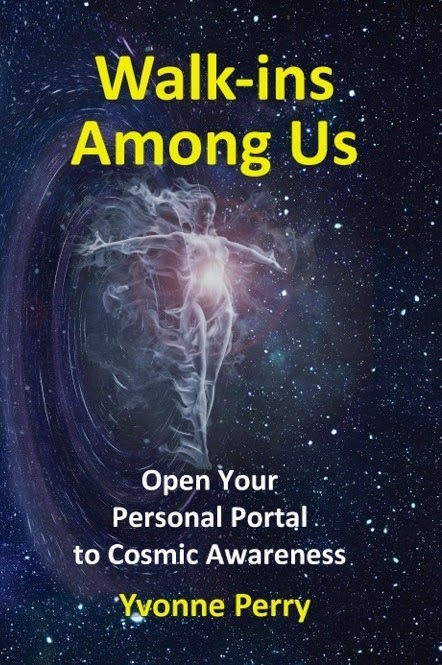 She reports that there is a tunnel of light open to every newly departed soul, but this opportunity exists for only a few days after the memorial service. Those who miss this chance to cross over will find a second chance available at funeral homes wherever a body lies in state. Another point she makes is that earthbound loved ones can hear and see us, but they cannot visit us in dreams. Those who cross over typically appear to us in dreams and may drop in to visit from time to time. This view of the afterlife and the cycle of evolution is so assuring and loving that I could never again embrace fear-based religions that teach we have to get it right the first and only time in order to avoid hellfire and damnation. 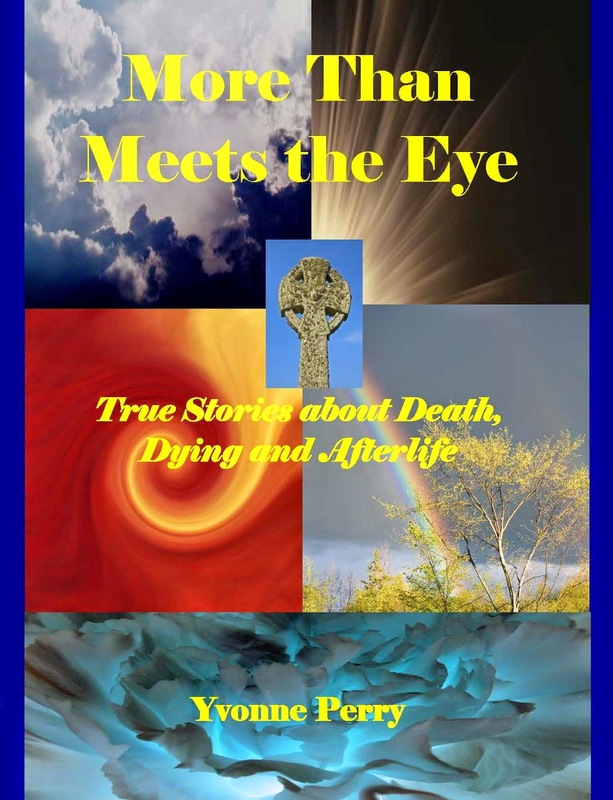 Yvonne Perry is available to speak about the topics presented on this blog and in her book, More Than Meets the Eye True Stories about Death, Dying, and Afterlife. 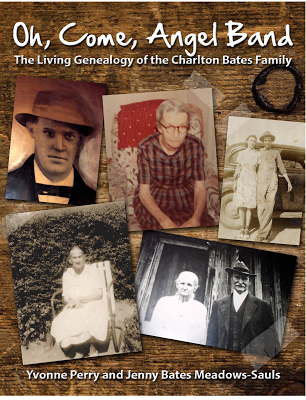 There are some aspects of dying and death common to everyone regardless of background. These mainstream topics include hospice and palliative care; giving a dying patient permission to let go; the mind-body-spirit connection; helping a patient and family accept impending death; unplugging a dying patient from life support; signs that the end of life is near; and comforting the grieving family. Those who are open to non-traditional thoughts will enjoy a presentation of the spiritual aspects surrounding death and dying, which include reincarnation; soul activity in the afterlife; assisting a soul in its release from the body; spirit communication during days/weeks after loved one dies; signs that a “deceased” loved one is trying to connect with a family member(s); and protocol for interacting with spirits. More info on this topic . . . Learn more about Yvonne and her speaking experience. "Would you be so kind as to vote for Candidate B?" "I'm Candidate A. Thank you for voting for me today, ma'am." "Please vote for Mr. Candidate." "'Pre-shate yer vote for me. I'm running fer metro council." It reminded me of the vendors hawking their wares in the villa when we visited the Dominican Republic. Every seller was offering some kind of bargain to passersby, trying to get the attention and money of every customer and beat out the competition. I also got a mental picture of disembodied spirits (ghosts) who constantly surround us, yelling negative messages and trying to get us to do their bidding. There are energy-sensitive people who don't realize that the angry thoughts, criticism, depression, and other unloving voices they hear in their heads are not just their own mind chatter. These negative messages are actually attempts that Earth-bound spirits make to leech off our energy and fulfill their base desires through a human. In my upcoming book, Whose Stuff Is This? 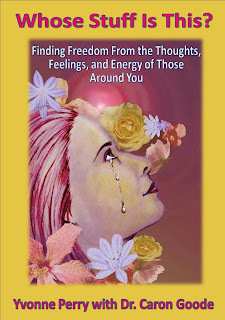 Finding Freedom From the Thoughts, Feelings, and Energy of Those Around You, I will explore the how these entities affect us and how we can put up our own 100-foot boundary and make them repect our No Trespassing sign. 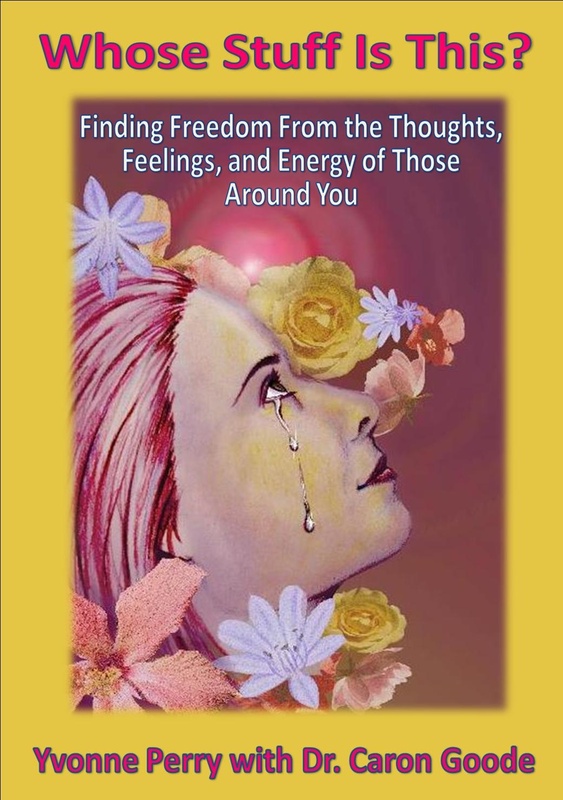 Folks who are looking for help with turning off or managing the load of emotional information they receive will find helpful information about how to shield themselves and develop the skills needed to use the gift of empathy in a way that is beneficial for all. 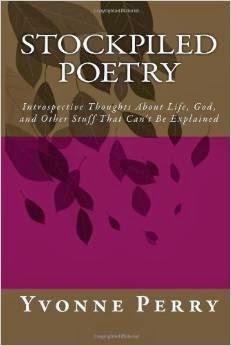 If this book sounds like something you would enjoy reading, please sign up to get a reminder at http://weareoneinspirit.blogspot.com/p/join.html when the book is ready.